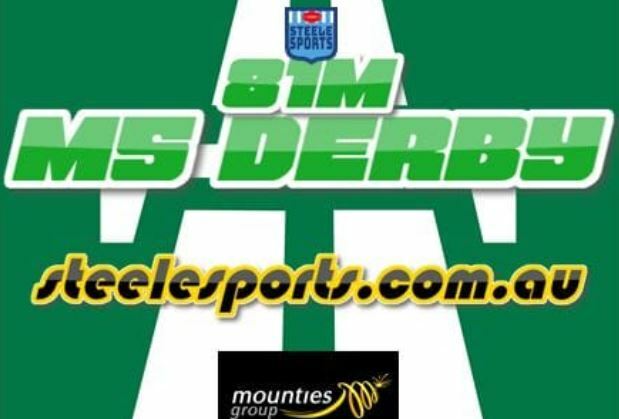 This was meant to be a top four blockbuster but it ended up a flogging of massive proportions as Mounties destroyed the visiting Magpies 52-6. The Magpies never looked in it as Mounties flexed their muscle in one of the most dominant performances in recent Canterbury Cup history. Check out our head commentator Curtis Woodward’s player ratings from the Mounties massive victory. Tries: Bailey Simonsson 4, Andre Niko 2, Reubenn Rennie, Brendan O’Hagan. Bailey Simonsson 9: Bagged four tries, dangerous all day. Tony Satini 8: Has an error in him but when he’s on, he’s great. Reubenn Rennie 7: Really consistent performer. Sebastian Kris 8: This centre pairing could win Mounties the comp. Andre Niko 8: Won’t have many better days than this one. Ata Hingano 8: Too classy for this grade. Brendan O’Hagan 7: Scored a fifty metre run away after being hammered by Watson Heleta two minutes earlier. Goes all day. Emre Guler 8: Another too good for NSW Cup with amazing footwork. Tom Starling 9: Very crafty and takes the right option every time. Royce Hunt 7: Developing into one of the best props in this grade. Reuben Porter 7: All arms and legs but creates havoc on the edge. Jarrett Boland 8: Lurked wide but also got in and made the tough metres. Luke Bateman 8: A workhorse of the highest order. Steve Tavita 7: No-nonsense and always reliable. Dean Matterson 6: Came on late but was very good with limited time. JJ Collins 6: Mounties didn’t miss a beat when Collins came on. Vincent Rennie 5: Limited time after copping a head knock. Dylan Smith 6: Caught out a few times but battled away. Harrison O’Toole 5: A couple of defensive misreads – long afternoon. Watson Heleta 7: Proved his experience in a poor team. Paul Momirovski 5: Barely seen. Bilal Maarbani 5: Would be very sore after copping a couple of big hits. Tyson Gamble 5: Too sideways and didn’t challenge the line. Kauri Aupouri 5: Impossible day for a halfback on a hiding like that. Thomas Mikaele 7: Created a great platform but spent too long on the bench in the middle period of the game. Braden Robson 7: A few mistakes but can’t blame the bloke for trying. Elia Faatui 7: Developing a really good offload in traffic. Sam McIntyre 5: Very quiet. Jack Miller 6: Ran a few good lines but limited ball. Robbie Rochow 7: Gets better every week and looks like he’s enjoying the middle third. Kane McQuiggin 3: Named at centre during the week but didn’t get on until late. Patrice Siolo 5: Toiled but didn’t get enough time. Joey Ratuvakacereivalu 5: Not his best day. Soni Luke 6: Has something about him and will get better over time.